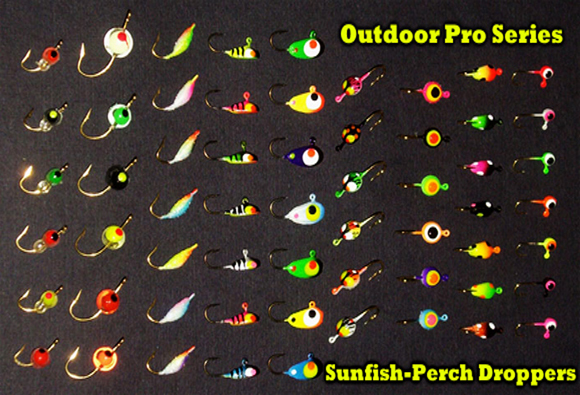 The Outdoor Pro Series Sunfish/Perch Kit is everything you need to chase these hard charging or finicky panfish. Why spend over a buck a piece on jigs with less quality when you can have top of the line for much less and the NEW Ice Flutter Jigs at a bargain as well.. Super sharp VMC hooks, mustad hooks, and high quality chip resistant paint. Built to attract and hook-em solid.